The Missa Cantata (High Mass) will be celebrated by Fr. John Arcidiacono. with a social hour after Mass. Please feel free to bring an appetizer or dessert to share. We depend on your attendance to show our appreciation for this great gift, and to serve as an example of our community's strong desire for the Latin Mass in Rogue River. Potluck with appetizers and dessert immediately follow Mass. Schola Dominae Nostrae will provide the Sacred Music for the Mass. Social hour immediately following Mass so please feel free to bring an appetizer or dessert to share. 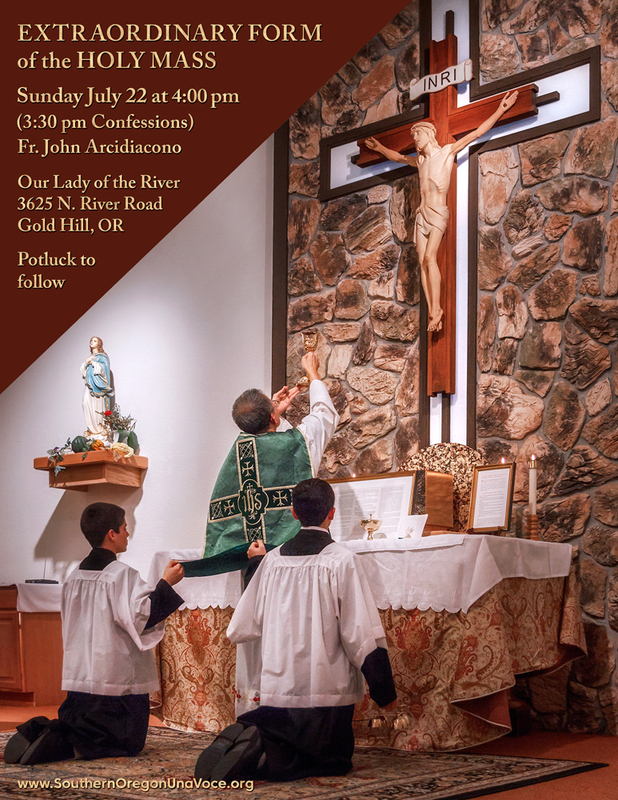 Our first Latin Mass of 2018 will be celebrated by Fr. Ben Tapia.